Last week we had the lovely folks of Imbue over in the CeltCast livingroom. During this live event we started a give away, where you can win a copy of their album In Quatuor Tempora. Originally this promotion was supposed to run for one week, but because of the overwhelming flow of interaction from Keltfest we decided to extend the promotion with another week. So now you have untill Thursday the 7th of June, 18:00 CET, to enter in the competition and have a chance to win this beautiful work of art! All you have to do is go over to the original live stream at this link and comment under the video. Next Thursday, after closing the competition, we will randomly select a lucky winner! Good luck! 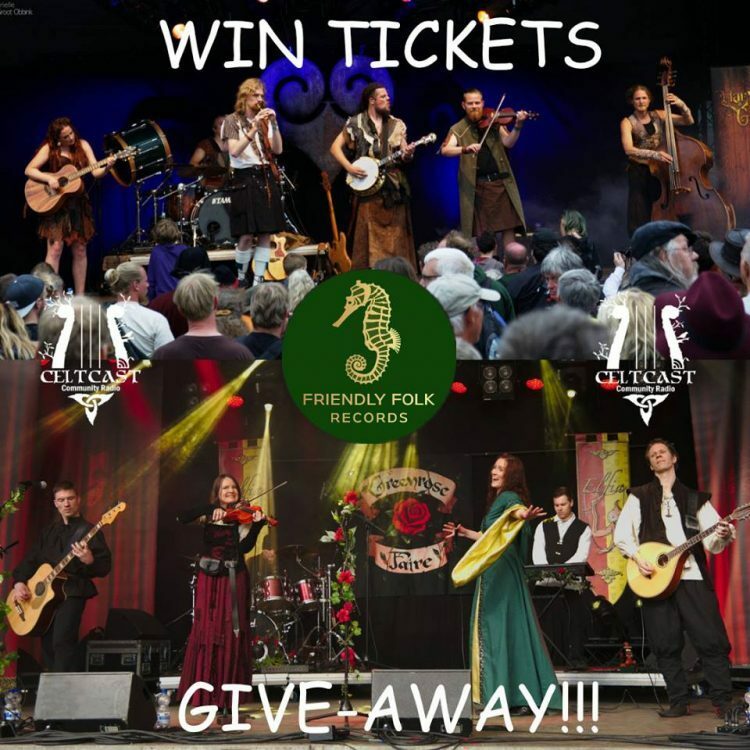 Harmony Glen give away…… and the winner is…..
On the 20th of April, the evening before the first outdoor festival of 2018, Elfia there is a little pre-party! Friendly Folk Records , together with Elfia and Storyline Events are organising Friendly Folk Pre-Elfia Fest CoHeadliners: Greenrose Faire & Harmony Glen at Muziekpodium Azotod in De Meern – Utrecht. This little party with Harmony Glen and Greenrose Faire is set up be an amazing warm up for a beautiful Elfia weekend! So if you are already in the neighbourhood for Elfia, you want to start partying early or if you just want to get in the mood, come to Azotod and join the party! If you are lacking funds, CeltCast is providing the opportunity to join this party for free! On our Instagram page we have organised a give-away for 1x 2 tickets! Come over to our instagram page, like the post and leave a message behind that you really want to win!